In 2016 I worked on a CSV import tool that allowed Webflow users to import, structure, and map external data into Webflow CMS sites. 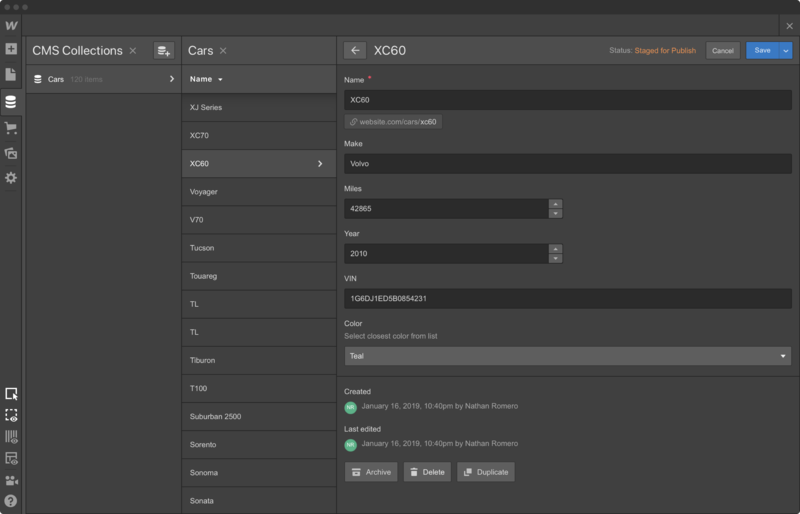 We wanted to make data import as simple as possible for our users. Kicking off the import process is as simple as dropping an exported CSV into the import tool. 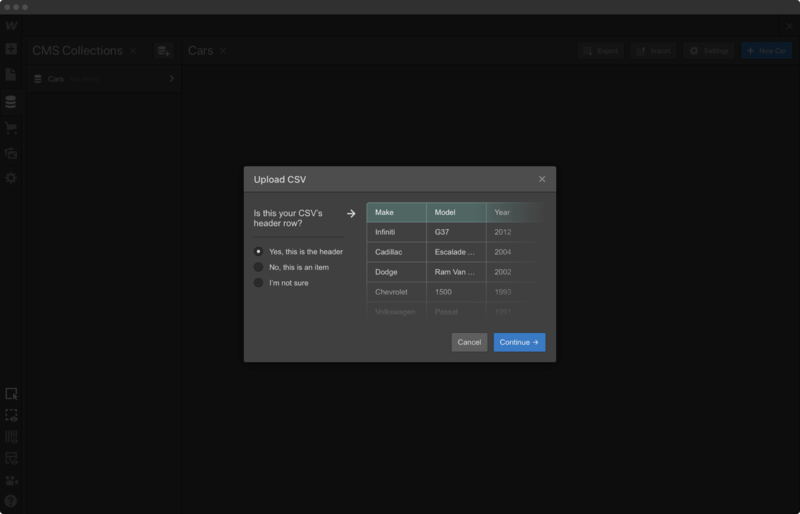 Drag and drop CSV upload field. Most data importers convert whatever is ingested into plaintext. 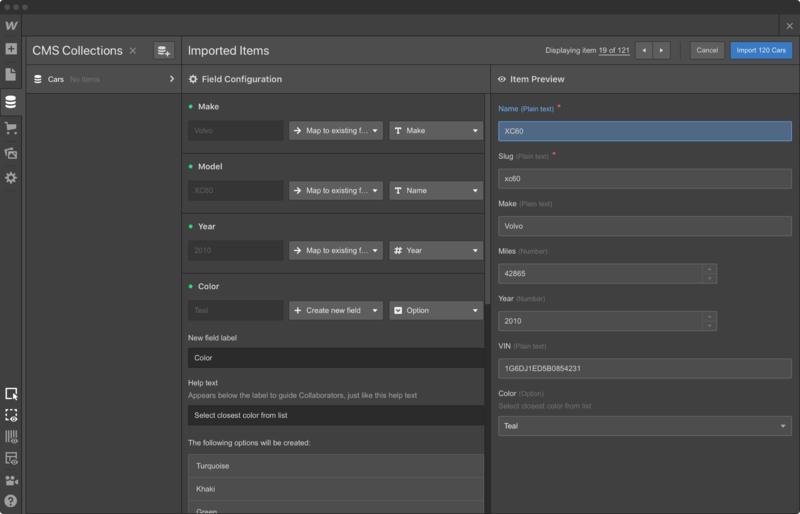 The Webflow data import tool was designed to preserve data type during the import process. Dates are pulled in as dates, colors as colors, and numbers as numbers. Rather than present our users with a large table of what's being imported, we thought it more important to show how that data is being imported. We settled on an import view listed out each field of the item to be imported and showed how that information would be mapped to the existing CMS structure. 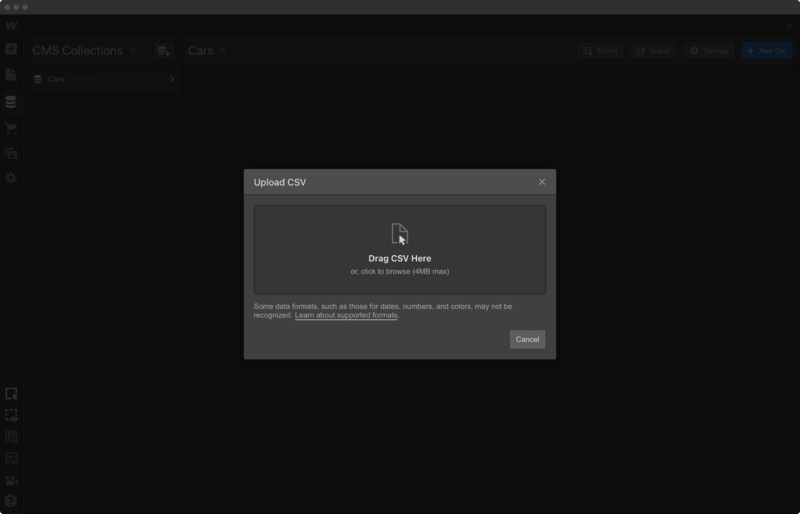 Imported, structured data inside the Webflow CMS.